It is time for a new Card Concept Challenge! 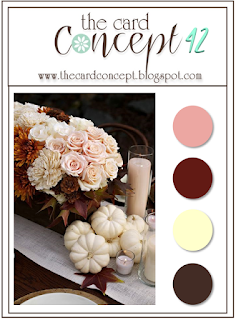 I was so inspired by the pinks and browns and pretty roses! 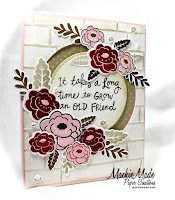 I think the Love Blooms (Reverse Confetti) stamps and matching Confetti Cuts are perfect for this card. I just love these flowers. I stamped and die cut lots of flowers and leaves and then arranged them on the brick wall. I added some sequins for some pizazz! I always gotta have a little sparkle! You can link up your creations HERE! Stunning, love all the flowers! Love the flowers, and amazing background! Beautiful card...love all the pretty flowers!!! Your card is fantastic! I love the design, and the flowers are so pretty framing the sentiment. Mackie this is so PRETTY!! Love the flowers and your design. Terrific card!! Just gorgeous Mackie!! LOVE those those flowers so very much and design is simply perfect!! Mackie, this is terrific! I love how bright and festive this feels! Wow! So pretty Mackie! Love all the little blossoms and layered pieces! Thanks for the inspiration! Beautiful! Love that RC set and the colours go gorgeously with it! WOW - the flowers look so beautiful on your card....the design and layout is perfection! Such a HAPPY floral card! 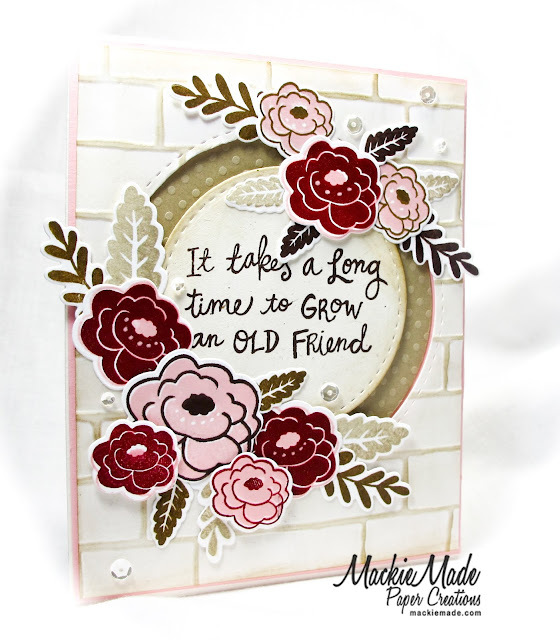 Love the flowers in this color scheme as well as the fun sentiment! !